This sign is for Notice High Pressure Oil. The sign’s colors are red and white. 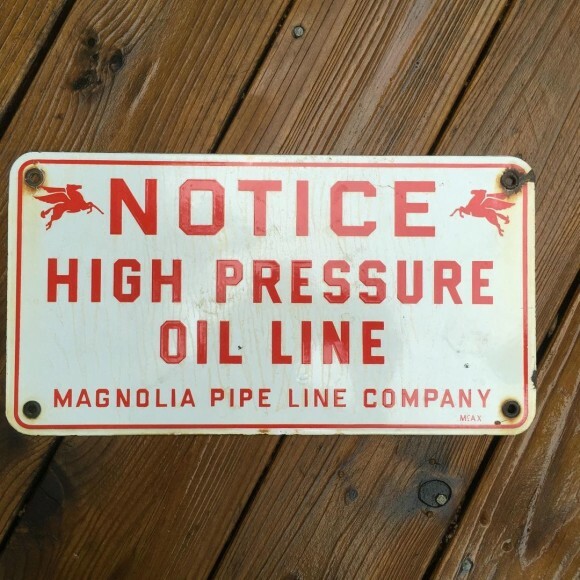 The text on the sign reads: Notice High pressure oil line Magnolia Pipe Line Company. The sign shows two horses to either side and text.